The English language is full of idiomatic expressions. While it is nearly impossible to learn all of these expressions, you should be familiar with the most important ones. Here is a list of the most widely used idiomatic expressions in English. This expression is another way of asking what somebody is thinking. To add insult to injury is to make a bad situation worse. A hot potato is a topic or an issue that is widely discussed. If something happens once in a blue moon it happens very rarely. When you are caught between two stools, you have difficulty choosing between two alternatives. When two people see eye to eye, they agree on something. To hear it on the grapevine is to hear a rumor. To miss the boat is to miss your chance at something. To kill two birds with one stone is to do two profitable things at the same time. When you are on the ball, you understand the situation very well. To cut corners is to do something badly to save money. If something costs and arm and a leg, it is very expensive. When you sit on the fence, you don’t make a decision. The questions is…. 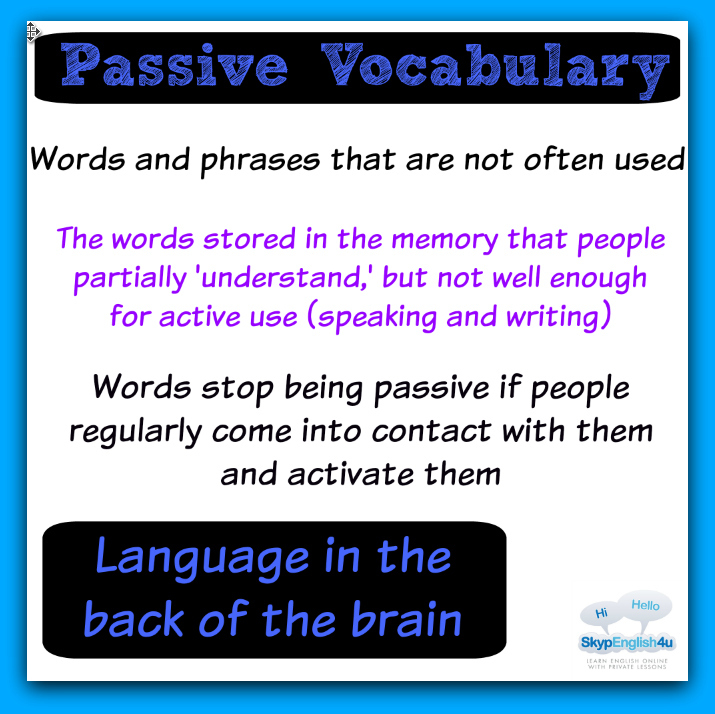 How do YOU change Passive Vocab to Active Vocab? Comment below and possibly be featured in a future post! DO NOT TASTE the wine. Only smell.